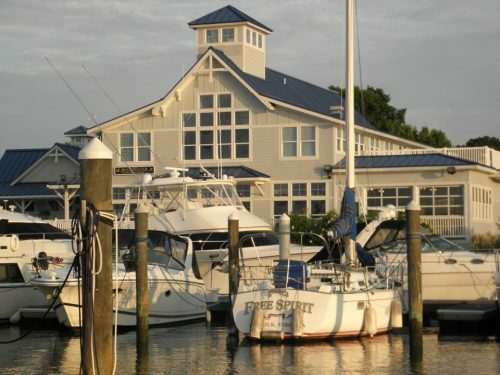 Boats and Beers: Dock’n Dining in Hampton Roads - Rose & Womble Realty Co. Nothing pairs with softshell crab quite like the aromatic fumes of sunscreen and boat exhaust. Seriously. 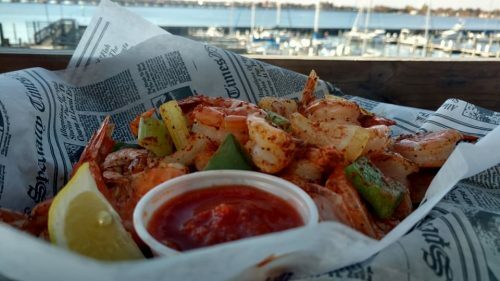 For those of who think that seafood tastes the most divine when you do not have sit in bumper to bumper Hampton Roads traffic to get to it, here’s a list of the area restaurants you can get to by boat. Sun : 11 a.m.-8 p.m.
Tues-Thurs: 11 a.m.- 9 p.m.
Great vibe and an ideal spot for seafood fans looking for something more than just the friend variety. Fishing around near the HRBT? 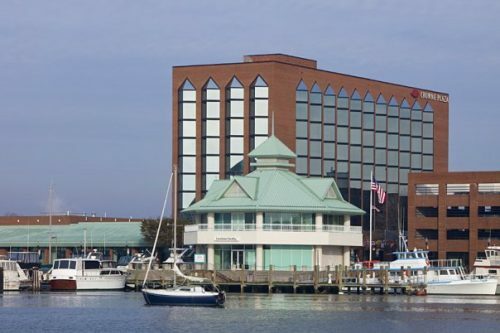 Dock your boat in downtown Hampton and select from a few options on Settlers Landing. Grab a bite at Oyster Alley, then stay for craft brew at Bull Island Brewing Company. Melissa Manganello of Hampton likes to stop by downtown when she and friend go out fishing. Mon – Thu: 11 a.m. – 10 p.m.
Fri/Sat: 11 a.m. – 12 a.m.
Sun – Thurs: 11 a.m. – 9 p.m.
Fri/Sat: 11 a.m. – 11 p.m.
Fri/Sat: 11 a.m. – 10 p.m.
A restaurant made from an abandoned fish shack, this place is a meat lover’s dream: sausage, hot dogs, hamburgers and seafood and a great craft beer menu! 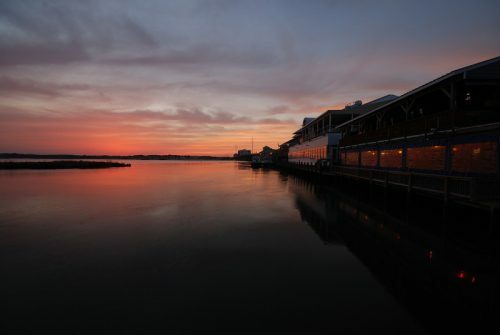 With quite a few locations in Hampton Roads, this is place to go for all your favorite fried seafood dishes. Get the full effect by docking at the pier at the Hampton, Marina Shores and Poquoson locations. 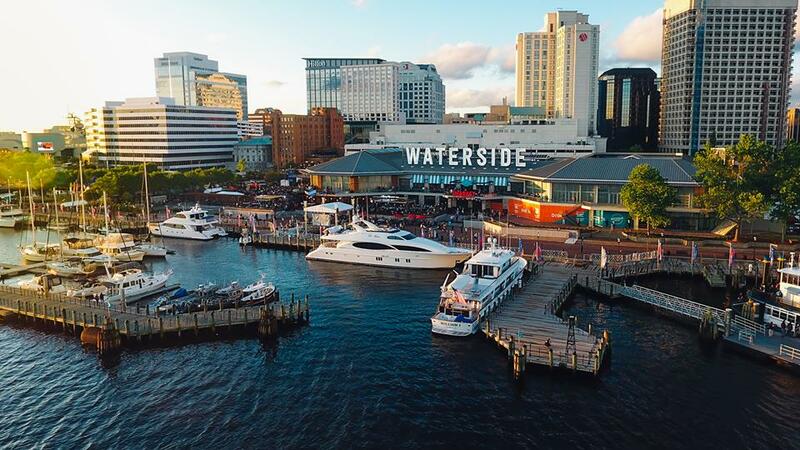 Sun – Thurs 11 a.m. – 9 p.m.
Fri/Sat 11 a.m. – 9:30 p.m.
Did you know you can dock and dine at Waterside? 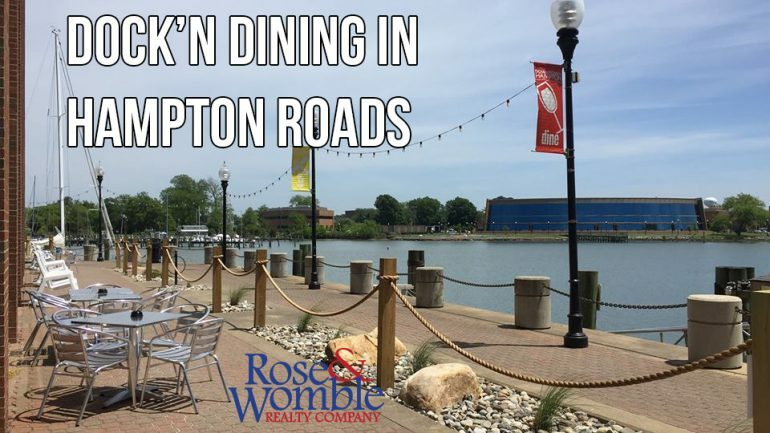 It’s the perfect place to stay all day with their numerous restaurants and bars, and stick around to catch a live show at Blue Moon TapHouse or in The Market. They had me at Shrimp Tempura Tacos. 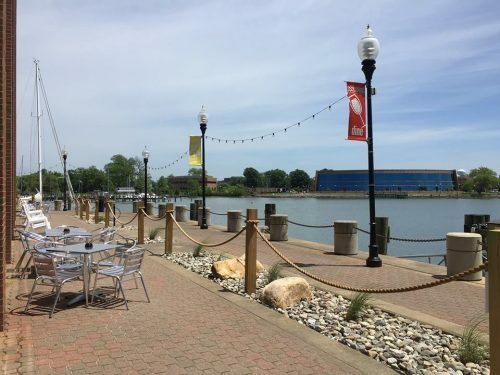 Eat at The Restaurant at Smithfield Station, or just nibble and drink at the IBX Bar and Grille, then walk it off on the woodland trail that begins directly across the street and can take you all the way into Smithfield’s historic downtown. Reservations or calling ahead is recommended before docking. 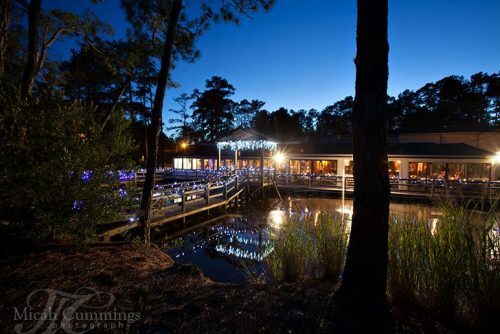 If you haven’t been to the legendary Bubba’s or Chick’s Oyster Bar, they should be first places on your list for the quintessential local Virginia Beach dock n’ dine experience. Liz Hamilton, of Virginia Beach, regularly docks a boat Chick’s or Bubba’s with family and friends. Be sure to stop by Dockside’s wine shop to replenish all your boating essentials. Rudee’s on the Inlet is styled after an authentic Coast Guard station with outdoor cabana seating. Rockafeller’s has a great looking bar and Big Sam’s will help you start your day right with Grandma’s pancakes and a mimosa for breakfast. Off the beaten path out in Pungo, their menu has a little bit of everything, from rib eye to seafood. It’s a great place to bring the whole family and a small boat. Mon – Sun: 11 a.m. – 9 p.m.
A bit fancier than the others on the list, Riverwalk has a full menu with lots of non-seafood options. 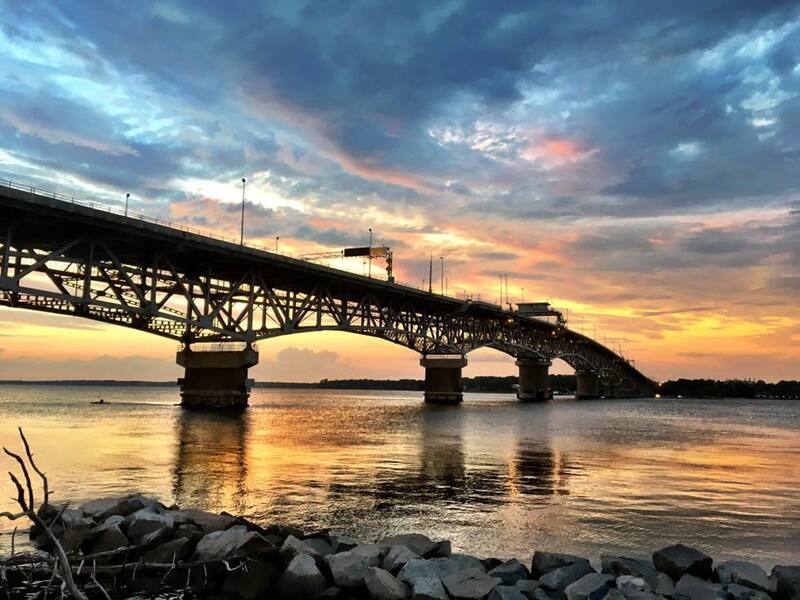 After you’re done, hit up the beach or explore Yorktown Battlefield.